A $1.5 million verdict awarded to a 60 year old man who was injured when his trailer was rear-ended by the driver of a big rig who fell asleep at the wheel. This case settled for $1.75 million. Verdict believed to be the first seven figure verdict for a single injury in Yolo County. A $2.7 million jury verdict against Cal-Trans in a highway design case involving a young man who sustained a brain injury. A $1.9 million jury verdict for the family of a woman who was shot and killed by the Union City police department. 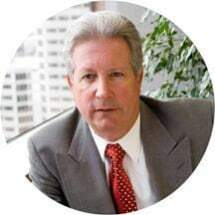 Co-trial counsel with Gary Gwilliam on cases which resulted in a $6.1 million jury verdict in Contra Costa County, $5.5 million jury verdict in Alameda County and a $3.5 million jury verdict in San Mateo County. A substantial confidential settlement for a mother and her unborn child in a products liability case against Toyota. The failure of a seat belt was alleged to have caused serious injuries to the mother and nine-month-old fetus. A $3.5 million settlement in a wrongful death case involving truck broker liability. A $1.5 million settlement for permanent injuries suffered by a construction worker in a fall that resulted from a contractor's negligence. An $800,000 jury verdict for a woman who fell into an oil service pit and fractured her hip. A $2 million dollar settlement against the City of Oakland for the wife and daughters of a man who was killed when his bicycle was caught in a dangerous rut in the Oakland hills. A $3 million dollar settlement against a retreat center in Bolinas for a 75 year old woman who became a quadriplegic when she fell while descending a stairway.